The Britax Allegiance is an impressive lower cost car seat by Britax. This seat has the best crash test head sensor result, is easy to use, nicer quality, with a reasonable price. We like that the Allegiance has the push button LATCH anchors, belt lock-offs, and an easy to use harness height non-rethread adjustment assembly. The Allegiance has less padding than the other Britax options, and it can be somewhat more challenging to install, especially using your vehicle belt. However, given the impressive crash test results and its general ease of use, we think it is an excellent buy for the price. If you think you'd like a little more padding for comfort or potential safety, then the Britax Emblem may be a better choice for you for only $40 more. Essentials is a Britax company that consists of budget-friendly products for parents looking for safety and quality without the high price. Britax recently launched the Essentials line as a "value brand" to help delineate the difference between the Britax car seats and value versions that cost less. Currently, Essentials includes the Allegiance and the Emblem convertible car seats. The Essentials by Britax Allegiance is an easy to use, economical choice with impressive crash test results. The Britax Allegiance (in blue) is a basic convertible car seat with much to boast about. Find out more details on the Allegiance's performance during testing in the sections below. The Allegiance uses EPP foam for impact absorption. This foam is less brittle than the standard foam and doesn't off-gas. 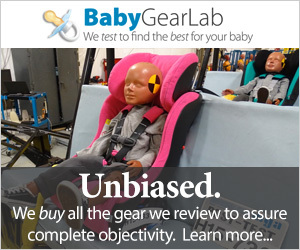 The Allegiance earned a respectable score for crash test results with an 8 of 10 for this metric and the BEST head sensor (HIC) results in the review. All seats sold in the US must meet or exceed the FMVSS 213 Federal Safety guidelines. Therefore, all of the seats in this review are considered safe and provide at least a basic level of safety. Some seats, as indicated by better than the average test results, potentially offer an additional margin of protection. The Allegiance is one of these products. The Allegiance has the best HIC result out of all the products with a 186. The next closest is 218 for the Britax Emblem with a 218. The maximum allowed for this test is 1000 with lower results being better as it means less Gs exerted in the head area. The chart below shows the results of the sensor. The Allegiance earned the best HIC score in the review with a 186, far below the average for the group. The Allegiance chest clip sensor results are 43 and the best in the group is 33.4 for the Clek Foonf. The chest clip sensor result (g clip) for the Allegiance is 43 where the maximum allowed is 60, and lower results are always better. The best for the group is 33.4 earned by the Clek Foonf. The Allegiance result is well below the maximum allowable result and is better than seven of the competitors. These results give the Allegiance one of the best-combined results for the group. Not too shabby for a value seat. Installation of the Allegiance is easiest using the LATCH method which is why it earned an 8 of 10 for this metric. While it lacks a center strap or self-ratcheting straps, the Allegiance manages to be easy to install because it has two straps instead of one for a tighter more secure fit. The straps require more strength to pull than those with unique features that help you, but it isn't as challenging as some of the competition and most parents will find it manageable. The Allegiance has the push button style LATCH connectors that are easier to attach and remove than the clip style anchors. The Allegiance has the push button style of LATCH anchors that we find easier to use. Pushing the anchor into place and pressing a button to release is simpler than the clip style. The level of the Allegiance is located on the base side and is a line (above left) you simply observe in relation to the ground under the car, not the car itself. If the angle needs adjustment, you can use the angle adjustment underneath the seat (above right) to find the right angle for proper installation. Eventually, all convertible car seats need to be installed using the vehicle belt and the Allegiance is no exception earning 7 of 1o for this installation method. It isn't that installing this seat with your vehicle belt is difficult; it just isn't as easy as some of the competition. The belt pathway is harder to use and threading the belt means removing the cover and padding so you can find and use the lock-off (above left). Even so, the fabric can get in the way of the lock-off leaving you wishing you had a third hand. Is it manageable? Sure. Is it simple and easy? Not really. The lock-off can be hard to close and harder to open if you get the seat belt nice and tight (above right). Rear-facing installation with a lap/shoulder combo (above left) is the most difficult to thread and tighten. The forward-facing installation (above right) is somewhat easier and the one you are most likely to have to do at some point if your car has LATCH thanks to weight restrictions as your child grows. Plus, it is also the most stable installation when using the vehicle belt. Adjusting the height of the harness straps is easy on the Allegiance with the non-rethread assembly that works by squeezing the lever and sliding the unit up or down. The Allegiance earns a 7 of 8 for ease of use, just one point below the high for the metric. Your daily interactions with this seat are unlikely to cause any frustrations thanks to a straightforward design with features that work as expected. The Allegiance buckle and chest clip are the same as all other Britax options and are somewhat stiff but not challenging enough to merit two hands. This seat has the same buckle and chest clip as the other Britax options. They are stiff but manageable without additional effort or hands. The harness height adjusts by squeezing the top and sliding the assembly/headrest up and down. This process is easy to do with your baby in the seat with no need for rethreading. It has ten shoulder strap height positions and two crotch strap positions for a personalized fit for most children. The harness release button on the Allegiance is hidden under the cover to keep it out of the reach and thoughts of little ones. The Allegiance has a harness tightening strap at the foot of the seat and a release button right above it under the cover. Both are straightforward and work without excessive force. The LATCH anchors store on the seat base and click in place on the back of the seat (above left). The storage location keeps the straps out of the way, so they don't interfere with installation and aren't accessible by little ones. The manual storage is behind the fabric in a pocket on the seat back. This location prevents little ones from playing with it, but it does mean it damage can happen if your child gets sick or spills something. The cover of the Allegiance is easy to remove and replace. It needs hand washing and line drying which isn't as useful as machine washable, but we will take it over spot clean only. The Allegiance offers less padding and fabric that feels less durable earning it a 7 of 10 for comfort and quality. The Britax Emblem offers additional features for comfort and quality. If this is important to you, the Emblem is one to consider. This car seat is nice looking but is basic in design and the materials used. While it is well designed and the materials come together pleasingly without mistakes, it doesn't feel as sturdy or durable as the traditional Britax line. The lack of extra padding and self-containment hurt the Allegiance in this metric. Compared to the competition it lacks significant features for comfort, and it looks sloppy with the straps and back exposed. The overall fit and finish are good, and the Allegiance's score for this metric is only two points lower than the high. The Allegiance weighs 18.5 lbs and is 18.8 inches across. These measurements are part of the equation that earned the Allegiance a 6 of 10 for weight and size. While a weight over 18 lbs seems excessive, it isn't that high given that eleven products are heavier. The same concept holds true for the width measurement where nine options are wider than the Allegiance. If you need to fit more than one safety seat or a combination of seats and people in your backseat, we suggest measuring your vehicle or buying from a retailer with a generous return policy. The Essentials line also includes the Britax Emblem. The Emblem is equally as impressive as the Allegiance and with thicker padding and improved headrest it comes with a slightly higher overall score, a $40 price difference, and an Editors' Choice award. The two seats are verysimilar, so if budget is a concern, we think the Allegiance more than gets the job done with the features and functionality that are tough to beat and crash test results any parent will love.